The holidays were just way too much fun for us this year, so much so that we haven't worked a bit! Meaning we have no posts for this week! Oops! So just dropping in to let you know we're hard at work though starting today to bring you some super-fresh content and maybe even some exciting changes? 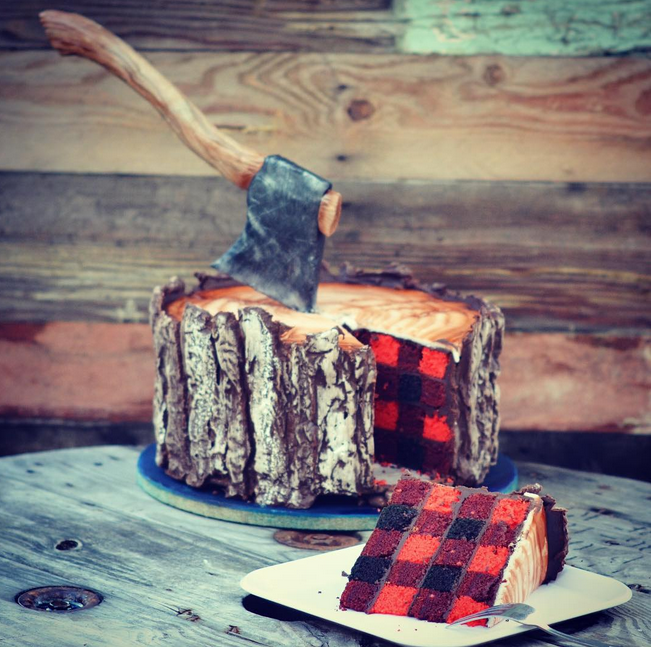 In the meantime, we're still hanging out on Instagram staying inspired by you all and posting things like this amazing lumberjack cake we found earlier this week by @lizzomarek. So fun! Stay tuned for new posts and such very soon! Happy New Year!!! I love this cake !!! I share on my FB page because it'so original.. and funny ! Bonne année ! You deserve some time off! Thanks for all the posts of last year an a very happy new year 2016! This cake is amazing! I absolutely love it!